The Girl and Tristan were asked a question by the hosts of Words with Nerds about nerd dating life. 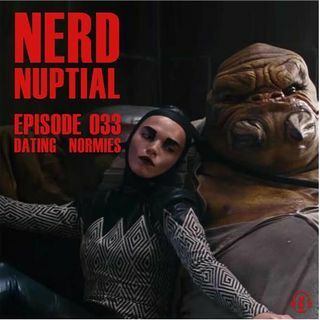 Did The Girl always date nerds? Did Tristan fool other girls into thinking that he was "normal"? Listen and you'll hear them answer these questions and a whole lot more. As well as talk about the benefits of dating someone like you. They start the show with a story about Tristan trying to reason with an unruly child. In your nerd dating life, do you hide ... See More who you are?